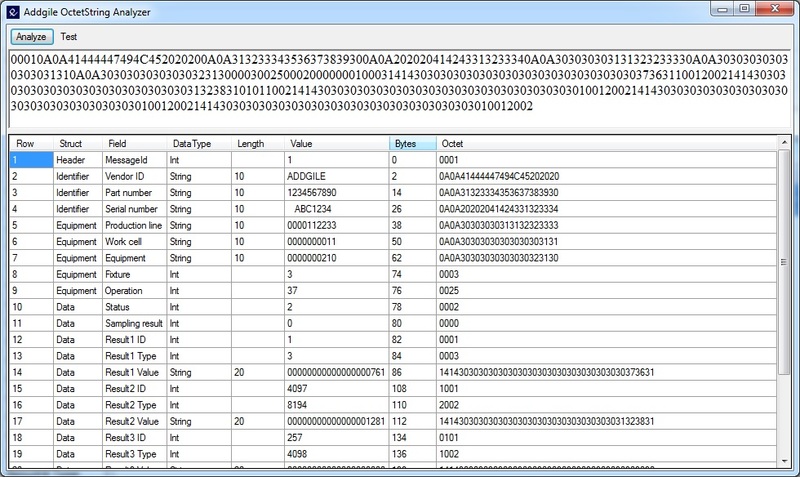 Addgile Octet String Analyzer is a tool that simplifies reading and analyzing octet string. It’s not easy to read what’s behind the text below, but with the tool this text becomes readable. Simply create the base structure of your data in an Excel sheet and then use the tool to translate it into understandable text. The tool is released under this license.